Posted by Dreamhealer in best vancouver naturopath, Chronic Pain, Healing, Naturopathic Doctor, Naturopathic Medicine, prolotherapy. There’s a very good chance that you or someone you know suffers from chronic pain. It is one of the most common complaints that cause people to seek treatment. Almost one in five adult Canadians report having a chronic pain condition; prevalence increases with age, and is more common in women than men. Treatment may be in the form of massage therapy, physiotherapy, acupuncture, chiropractic, over-the-counter painkillers, prescription-strength analgesics, or various other treatment modalities. Depending on the root cause of the pain, these treatment methods can bring varying degrees of relief. At the most basic, pain is simply an unpleasant sensation carried by specific nerve fibers to the central nervous system, where it is registered as what we all understand as pain. The source of the pain may be a muscle or other soft tissue, internal organ, or from the nerve itself. Large nerves are themselves innervated by small nerve fibers that carry sensory signals that relate to the stimuli affecting those nerves. What is Neural Prolotherapy (NPT)? I recently had the opportunity to study with Dr. John Lyftogt, a medical doctor from New Zealand who is pioneering neural prolotherapy (NPT), a novel treatment in chronic neurogenic pain – that is, pain that originates in the nerves themselves (as opposed to pain that originates in another tissue which is then simply carried by nerves). This neurogenic pain has various causes – nerves can be constricted as they pass through, under or over muscles, fascia or other soft tissues, or as they pass over bony prominences (a well-known example of this is when you hit your “funny bone”, which is actually pressure on the ulnar nerve as it crosses the elbow). These constrictions can cause the nerves to become inflamed and swollen, thus exacerbating the original constriction. Short-term relief for neurogenic pain can be obtained through the use of nerve blocks – an injection of a local anaesthetic that temporarily changes physiology of the nerve, and therefore the way the nerve conducts its signals. In very general terms, this means affecting the sodium and potassium channels that are at the heart of every signal carried by our nervous system. But when the anaesthetic wears off, the pain returns as before. How does Neural Prolotherapy cure pain? NPT involves injections of a dextrose solution just under the skin, along the path of affected nerves. It is proposed that this sugar solution acts in a similar way to an anaesthetic nerve block – it prevents the nerve from undergoing “repolarization”, which is necessary for generating the pain signal. Furthermore, it actually has a direct effect on the inflammation seen in the nerves, allowing them to return to a healthy state. The treatment itself is quite well-tolerated; a very small needle is used to inject small amounts of fluid just under the skin. A whole treatment session may involve anywhere from a few to twenty or more of these injections, and can take from 10 minutes up to 30 minutes. Patients feel immediate relief from pain – within seconds. Prior to treatment, points on the skin would elicit pain from the slightest pressure. In less than a minute following treatment, often patients aren’t even able to localize where the pain used to be. How long this relief from pain lasts is variable – from a few days to even a week or two. Almost always, the pain returns – but typically it is less severe. After another treatment, the same relief is felt, which then lasts a bit longer than following the first treatment. After a course of treatment, many patients have been able to be completely pain-free after years of living with debilitating pain. If this description of chronic pain sounds like what is experienced by you or someone you know, consider looking into NPT. It may turn out to be the treatment modality that ends your suffering and allows you to return to your active lifestyle, pain-free. Posted by Dreamhealer in Naturopathic Doctor, prolotherapy. Posted by Dreamhealer in haida gwaii, naturopath, Naturopathic Doctor, vancouver. 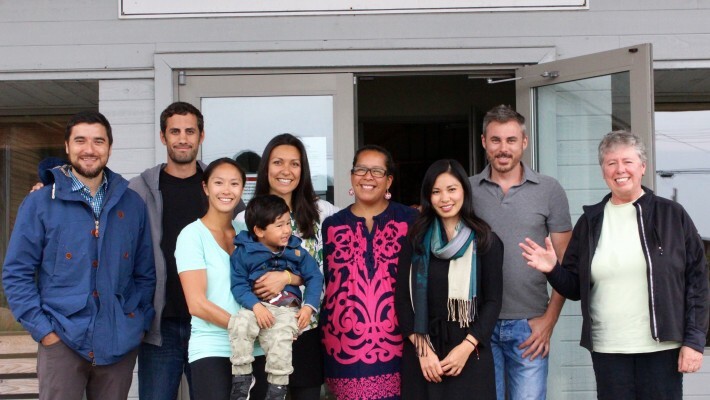 The team at Yaletown Naturopathic Clinic were invited to Haida Gwaii to establish a satellite clinic within the Skidegate Health Centre. We were delighted to be able to share our knowledge within the community. The Skidegate Health Centre aims to move their model of care from treating illness to promoting wellness which is in line with the principles of Naturopathic Medicine! To support the healing power of the body, by recognizing and removing obstacles to the body’s inherent self-healing process. The response from the Haida Gwaii community was overwhelmingly positive. As practitioners it was very rewarding for us to see how much the medicine resonated with the patients. We look forward to returning to Skidegate in the future and partnering with the community to help build a proactive wellness model to better support the health of the community. 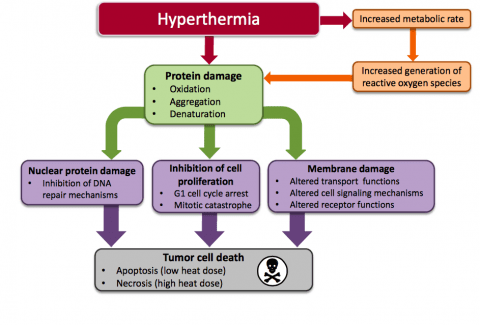 Hyperthermia is an emerging therapy that has great potential as an adjunctive cancer therapy. In Germany, hyperthermia, also known as “oncothermia” has been used for decades in conjunction with chemotherapy and radiation. These advanced medical devices significantly heat up the tumour and this causes profound metabolic changes within cancer cells that make them more vulnerable to conventional therapies1,2,3. It is important to point out that hyperthermia is very different from an infrared sauna or the application of a heat pack. A loco-regional hyperthermia device is a state-of-the-art medical device that significantly heats the tissues surrounding a tumour1. You will not heat any tumour effectively without these advanced devices, especially if it is a deeper tumour. Recent research emphasizes the importance of a loco-regional hyperthermia device that possesses at least two active electrodes along with enough power to target deep areas in the body. Currently there are only a few clinics in North America that have these devices. So how does hyperthermia work? The application of heat will cause major metabolic changes in cancerous cells including protein denaturation and aggregation which triggers cell arrest and inactivation of protein synthesis6. The heat also causes alterations in cellular membrane permeability and results in decreased levels of ATP7,8. The proteins within the nucleus of cancerous cells appear to be particularly vulnerable to the effects of hyperthermia2. In other words, the heat adds substantial stress to the cancerous cells and these metabolic changes that occur make them vulnerable to chemotherapy and radiation3,4,5. The goal of any conventional cancer therapy is to damage the abnormal cells as effectively as possible. It is clear that the application of heat adds a substantial amount of stress to these abnormal cells. The combination of the stress from the heat and chemotherapy or radiation is overwhelming for cancer cells. There is a potent synergy with these therapies and hyperthermia should be seriously considered for any patient undergoing chemotherapy or radiation for a solid tumour. Chemotherapy is one of the fundamental tools used in a conventional cancer setting. It involves the use of drugs that are often toxic to both cancer cells and healthy cells. The objective when doing chemotherapy is to damage the abnormal cells without causing harm to healthy cells. Cancer cells within a tumour are inherently poor at distributing heat because the cells are so tightly packed together. Normal cells based on their spatial arrangement are more efficient at dispersing heat. Several studies indicate that cancer cells are more susceptible to heat injury than normal cells2,14. Hyperthermia is a adjunctive therapy that can be used to enhance the effectiveness of chemotherapy and the metabolic reasons for this effect are obvious. Hyperthermia is cytotoxic to cancer cells within a tumour and this works synergistically with the cytotoxic properties of chemotherapy. Here are some of the effects that the application of heat has on cancer cells while a patient is doing chemotherapy. Reactive oxygen species are highly reactive molecules which damage DNA and other essential components within cancerous cells. Many chemotherapy drugs work by generating reactive oxygen species which damage these rapidly growing cells. Elevated temperatures increase the rates of biochemical reactions and the net effect is that cell metabolism is increased. This is relevant to patients undergoing chemotherapy because the increased cell metabolism will cause a significant elevation in reactive oxygen species (ROS) and oxidative stress9,10,11. The application of heat causes increased generation of ROS such as hydrogen peroxide and superoxide. Not only does heat increase the generation of ROS, it also makes these molecules more reactive12. The net effect is a significant increase in the formation and activity of ROS within cancerous cells. Many of the most commonly used chemotherapies operate by generating oxidative stress within cancer cells. This is why patients are told by their oncologists to avoid high doses of antioxidants. If the mechanism of action of a drug is to create oxidative stress then it is logical that you should avoid mega doses of antioxidants which could neutralize this effect. What is so exciting about localized hyperthermia is that it will heat up the tumour and this will only result in increased oxidative stress in the immediate environment of the tumour. When hyperthermia is combined with chemotherapy it generates much more free radicals in the tumour9, thus making the chemotherapy more effective. One of the biggest challenges with chemotherapy is effectively delivering the drug to the tumour. Tumours have a terrible blood supply because the cells are so densely packed together. Often when chemotherapy is infused into a patient very small amounts of that drug actually get to the tumour13. When any tissue in the human body is heated it results in the dilation of blood vessels. Thus by applying heat to the tumour you are increasing blood flow into that tumour which allows more effective delivery of the drug to the tumour. This is critically important for patients treating solid tumours with chemotherapy. It is essential to actually deliver the drug to the tumour and hyperthermia enhances enhances that delivery. Chemotherapy often weakens the immune system which is a problem because a functioning immune system is necessary to fight cancer. Chemotherapy or radiation will not be effective if the immune system is not capable of cleaning up the metabolic mess. The application of heat appears to stimulate various elements of the immune system15,16. It is well-documented that the heat will increase the migration of immune cells to the target site and increase the activity of immune cells in the area. Laboratory and in vivo studies have shown that the combined use of hyperthermia and chemotherapy leads to increased cytotoxic effects of several anti-cancer drugs such as cisplatin, anthracyclines, cyclophosphamide, ifosfamide, nitrosoureas, belomycin, mitomycin and melphalan26,27,28,29,30. For some of these drugs the interactions between heat and drug are extremely synergistic31. These results clearly demonstrate that the effects chemotherapy are enhanced by hyperthermia. The biggest fear with chemotherapy is that the cancer becomes resistant to the drug. This severely limits the patients options and results in an aggressive, resistant cancer. There is a great deal of genetic diversity within a tumour. As a consequence, with every round of chemotherapy you are killing cells which are sensitive to that drug leaving behind cells that are resistant. As more resistant cells survive eventually the cancer no longer responds to that drug and the therapy must then be changed. The most exciting effect of hyperthermia in the context of chemotherapy is that it has the ability to reverse resistance to certain chemotherapy drugs17,18,19,20. There are several obvious metabolic reasons why hyperthermia could have this effect on cancer cells. There is evidence to suggest that multi-drug resistant (MDR) cells are particularly vulnerable to the effects of hyperthermia21. This is incredibly important in the fight against cancer because by definition these cells are resistant to chemotherapy. These cells that become resistant to drugs often do not display cross-resistance to heat and as a consequence they are still vulnerable to hyperthermia32. It is not unusual to have patients stop responding to a drug after several rounds. Only when the chemotherapy is combined with hyperthermia does the cancer start responding again to the same drug. In other words, the application of heat triggered a reversal of chemotherapy resistance and it allowed these patients to continue therapy when there were few options available. In summary the evidence supporting the application of loco-regional hyperthermia as an adjunct to chemotherapy is strong and the reasons are obvious. By heating the tumour it enhances the delivery of the drug to the cancerous cells by increasing blood flow into the tumour. The heat also results in increased immune presence and activity in the vicinity of the tumour. Most importantly, hyperthermia damages the drug resistant cells and in some cases it reverses the chemotherapy resistance so commonly seen after repeated rounds of chemotherapy. In general, the most effective heat-drug sequence is drug treatment immediately before heat delivery. In other words, you should start the hyperthermia as soon as possible after receiving the chemotherapy infusion. One of the most promising aspects of hyperthermia in cancer treatment is the ability to eliminate radiation-resistant tumour cells3. Hyperthermia is recognized as one of the most effective radio-sensitizers known. The basis for this effect is that hyperthermia has the ability to kill cells that are under conditions of hypoxia (low oxygen), low pH and that are in the S-phase of cell division. These are all conditions that allow cells to become resistant to radiation. This is why hyperthermia can be effective at increasing the effectiveness of radiation. It has the ability to kill those cells which would otherwise be resistant to the radiation. It has been suggested that part of the mechanism for this radio-sensitizing effect is that hyperthermia interferes with the repair of radiation-induced DNA damage. Several studies have indeed observed that hyperthermia increased the amount of radiation-induced chromosomal aberrations22,23. A major part of this radio-sensitizing effect appears to be due to the inhibition of base excision repair of DNA damage24,25. The purpose of radiation is to damage the DNA of cancerous cells. The application of heat makes it challenging for these cancer cells to repair from this damage. At least 19 randomized studies using a combination of hyperthermia with radiotherapy, chemotherapy or both, have shown significant improvements in clinical outcomes of oncology patients, without a significant increase in side effects33. The combination of hyperthermia with radiation resulted in higher complete response rates, accompanied by improved local tumour control rates and better overall survival rates in many Phase II clinical trials34,35,36,37,38,39. These results consistently demonstrate a synergy between hyperthermia and radiation. When looking at the evidence there is a clear and consistent trend. Localized hyperthermia has significant potential as an adjunctive cancer therapy. The application of heat using these advanced medical devices increases the effectiveness or chemotherapy and radiation. Hyperthermia reduces the risk of the cancer developing resistance to chemotherapy or radiation. At the end of the day the goal is to use every tool at our disposal to increase the effectiveness of conventional therapies and destroy the cancerous cells. Hyperthermia is a potent adjunctive therapy that can help to accomplish that goal. Medical centres around the world are using this technology to enhance the positive benefits of chemotherapy and radiation. Currently there are only a few clinics in North America that offer hyperthermia as an adjunctive cancer therapy. Yaletown Naturopathic Clinic in Vancouver, BC is one such clinic that offers this service. 1) Noh, Jae Myoung, et al. “In vivo verification of regional hyperthermia in the liver.” Radiation oncology journal 32.4 (2014): 256-261. 2) Sugahara, Tsutomu, et al. “Kadota fund international forum 2004. Application of thermal stress for the improvement of health, 15–18 June 2004, Awaji Yumebutai international conference center, Awaji island, Hyogo, Japan. Final report.”International journal of hyperthermia: the official journal of European Society for Hyperthermic Oncology, North American Hyperthermia Group 24.2 (2008): 123. 3) Bettaieb, Ahmed, Paulina K. Wrzal, and Diana A. Averill-Bates. “Hyperthermia: Cancer treatment and beyond.” Cancer treatment—conventional and innovative approaches (2013). 4) van der Zee, Jill. “Heating the patient: a promising approach?.” Annals of oncology 13.8 (2002): 1173-1184. 5) Van der Zee, J. “Hyperthermia in addition to radiotherapy.” Clinical Oncology 19.3 (2007): S18. 6) Lepock, James R. “How do cells respond to their thermal environment?.” International journal of hyperthermia 21.8 (2005): 681-687. 7) Richter, Klaus, Martin Haslbeck, and Johannes Buchner. “The heat shock response: life on the verge of death.”Molecular cell 40.2 (2010): 253-266. 8) Sonna, Larry A., et al. “Invited review: effects of heat and cold stress on mammalian gene expression.” Journal of Applied Physiology 92.4 (2002): 1725-1742. 9) Moriyama-Gonda, N., et al. “Heat–Induced Cellular Damage and Tolerance in Combination with Adriamycin for the PC–3 Prostate Cancer Cell Line: Relationships with Cytotoxicity, Reactive Oxygen Species and Heat Shock Protein 70 Expression.” European urology 38.2 (2000): 235-240. 10) Katschinski, Dörthe M., et al. “Role of tumor necrosis factor α in hyperthermia-induced apoptosis of human leukemia cells.” Cancer research 59.14 (1999): 3404-3410. 11) Bettaieb, Ahmed, and Diana A. Averill-Bates. “Thermotolerance induced at a fever temperature of 40 C protects cells against hyperthermia-induced apoptosis mediated by death receptor signalling.” Biochemistry and Cell Biology 86.6 (2008): 521-538. 12) Lord-Fontaine, Stephanie, and Diana A. Averill. “Enhancement of cytotoxicity of hydrogen peroxide by hyperthermia in chinese hamster ovary cells: role of antioxidant defenses.” Archives of biochemistry and biophysics 363.2 (1999): 283-295. 13) Drummond, Daryl C., et al. “Optimizing liposomes for delivery of chemotherapeutic agents to solid tumors.”Pharmacological reviews 51.4 (1999): 691-744. 14) Babbs, C. F., and D. P. DeWitt. “Physical principles of local heat therapy for cancer.” Medical instrumentation 15.6 (1980): 367-373. 15) Bogovič, J., et al. “Posttreatment histology and microcirculation status of osteogenic sarcoma after a neoadjuvant chemo-and radiotherapy in combination with local electromagnetic hyperthermia.” Oncology Research and Treatment 24.1 (2001): 55-58. 16) Calderwood, Stuart K., Salamatu S. Mambula, and PHILLIP J. GRAY. “Extracellular heat shock proteins in cell signaling and immunity.” Annals of the New York Academy of Sciences 1113.1 (2007): 28-39. 17) Towle, L. R. “Hyperthermia and drug resistance.” Hyperthermia and oncology 4 (1994): 91-113. 18) Herman, Terence S., et al. “Reversal of resistance to methotrexate by hyperthermia in Chinese hamster ovary cells.”Cancer research 41.10 (1981): 3840-3843. 19) Raaphorst, G. P., et al. “A comparison of hyperthermia cisplatin sensitization in human ovarian carcinoma and glioma cell lines sensitive and resistant to cisplatin treatment.” Cancer chemotherapy and pharmacology 37.6 (1996): 574-580. 20) Wallner, Kent E., Michael Banda, and Gloria C. Li. “Hyperthermic enhancement of cell killing by mitomycin C in mitomycin C-resistant Chinese hamster ovary cells.” Cancer research 47.5 (1987): 1308-1312. 21) Uckun, Fatih M., et al. “Radiation and heat sensitivity of human T-lineage acute lymphoblastic leukemia (ALL) and acute myeloblastic leukemia (AML) clones displaying multiple drug resistance (MDR).” International Journal of Radiation Oncology* Biology* Physics 23.1 (1992): 115-125. 22) Dewey, W. C., and L. E. Hopwood. “„Sapareto, SA, and Gerweck, LE, 1977,” Cellular responses to combinations of hyperthermia and radiation,”.” Radiology 123: 463-474. 23) Dewey, William C., Stephen A. Sapareto, and David A. Betten. “Hyperthermic radiosensitization of synchronous Chinese hamster cells: relationship between lethality and chromosomal aberrations.” Radiation research 76.1 (1978): 48-59. 24) Dikomey, HH Kampinga, E. “Hyperthermic radiosensitization: mode of action and clinical relevance.” International journal of radiation biology 77.4 (2001): 399-408. 25) H. KAMPINGA, AWT KONINGS, AJ EVERS, JF BRUNSTING, N. MISFUD, and RL ANDERSON, H. “Resistance to heat radiosensitization and protein damage in thermotolerant and thermoresistant cells.” International journal of radiation biology 71.3 (1997): 315-326. 26) Hildebrandt, Bert, et al. “The cellular and molecular basis of hyperthermia.” Critical reviews in oncology/hematology43.1 (2002): 33-56. 27) Bates, Diana A., and William J. Mackillop. “Hyperthermia, adriamycin transport, and cytotoxicity in drug-sensitive and-resistant Chinese hamster ovary cells.” Cancer research 46.11 (1986): 5477-5481. 28) Issels, Rolf D. “Hyperthermia adds to chemotherapy.” European Journal of Cancer 44.17 (2008): 2546-2554. 29) Engelhardt, R. “Rationale for clinical application of hyperthermia and drugs.” Strahlentherapie und Onkologie: Organ der Deutschen Röntgengesellschaft…[et al] 163.7 (1987): 428. 30) Dahl, O. “Interaction of hyperthermia and chemotherapy.” Application of Hyperthermia in the Treatment of Cancer. Springer Berlin Heidelberg, 1988. 157-169. 31) Kampinga, Harm H. “Cell biological effects of hyperthermia alone or combined with radiation or drugs: a short introduction to newcomers in the field.” International journal of hyperthermia 22.3 (2006): 191-196. 32) Souslova, Tatiana, and Diana A. Averill-Bates. “Multidrug-resistant hela cells overexpressing MRP1 exhibit sensitivity to cell killing by hyperthermia: interactions with etoposide.” International Journal of Radiation Oncology* Biology* Physics 60.5 (2004): 1538-1551. 33) van der Zee, Jill, et al. “The Kadota Fund International Forum 2004-Clinical group consensus*.” International Journal of Hyperthermia 24.2 (2008): 111-122. 34) Group, International Collaborative Hyperthermia, et al. “Radiotherapy with or without hyperthermia in the treatment of superficial localized breast cancer: Results from five randomized controlled trials.” International Journal of Radiation Oncology* Biology* Physics 35.4 (1996): 731-744. 35) Overgaard, Jens, et al. “Randomised trial of hyperthermia as adjuvant to radiotherapy for recurrent or metastatic malignant melanoma.” The Lancet 345.8949 (1995): 540-543. 36) Valdagni, Riccardo, and Maurizio Amichetti. “Report of long-term follow-up in a randomized trial comparing radiation therapy and radiation therapy plus hyperthermia to metastatic lymphnodes in stage IV head and neck patients.”International Journal of Radiation Oncology* Biology* Physics 28.1 (1994): 163-169. 37) Datta, N. R., et al. “Head and neck cancers: results of thermoradiotherapy versus radiotherapy.” International Journal of Hyperthermia 6.3 (1990): 479-486. 38) Zee, J. Van Der, et al. “POINT-COUNTERPOINT: What is the optimal trial design to test hyperthermia for carcinoma of the cervix? POINT: Addition of hyperthermia or cisplatin to radiotherapy for patients with cervical cancer; two promising combinations–no definite conclusions.” International journal of hyperthermia 18.1 (2002): 19-24. 39) Sharma, Sanjiv, et al. “Side-effects of local hyperthermia: results of a prospectively randomized clinical study.”International journal of hyperthermia 6.2 (1990): 279-285.